Southeast Asian studies is one of the emerging and swiftly developing fields of study in Korea. This subject, however, was considered academically ‘futile’ until the 1970s. For the last three decades, the number of publications, academics and research institutions has increased in a dramatic manner. This essay aims to provide an introductory overview of the works and achievements of Southeast Asianists in Korea over this period, and to suggest their limitations as well as future challenges, which the next generation of Southeast Asianists in Korea may learn from for their future roles. This essay includes accounts of not only academic achievements, but also researchers and research institutions, for analysis. Considering the relatively small number of Southeast Asianists in Korea, we need to take into account the roles played by individual academics for an overall review of the field. It is difficult to separate individual achievements from the institution-building for Southeast Asian studies which has developed in an unique path in Korea. This essay adopts several methods. First, it will analyze articles published in Dong Nam Asia Yeon Gu (The Southeast Asian Review), the academic journal of the KASEAS (Korean Association of Southeast Asian Studies, Han Kuk Dong Nam Ah Hak Hoi, 韓國東 南亞學會) since 1992. Second, I have interviewed senior Korean Southeast Asianists to recollect their memories and reconstitute of the history of Southeast Asian studies in Korea. My personal experience as a graduate student in the 1990s and a junior scholar thereafter have also been reflected in this reconstitution of the history. Four main issues will be discussed. I will start from presenting taxonomy of three generations in Southeast Asianists in Korea. Based on this taxonomy, the essay will address the works and aspirations of first-generation in the 1980s, along with the research activities and achievements of second-generation scholars in the 1990s. It will end with the characteristics and future tasks of third-generation scholars, who have emerged in the 2000s. I will divide Korean Southeast Asianists into three generations. The previous taxonomy was that of Yoon Hwan SHIN who identified two categories: ‘the first-generation scholars before the 1990s’ and ‘the second-generation scholars since then’ (Shin and Rhee, 1996: 159-62; Cho, 2001: 49; Park 2009). The year 1990 was viewed as a turning point for the distinction. Specifically, the Dong Nam Ah Jeong Chi Yeon Gu Hoi (Study Group on Southeast Asian Politics) was formed by five PhD holders who had completed their work on Southeast Asia in the United States. The creation of this research group can be viewed as a historic declaration about themselves as the second generation. On top of this, I view the formation of the Han Kuk Dong Nam Ah Yeon Gu So (KISEAS: Korean Institute of Southeast Asian Studies) in 2003 as marking another epoch for the third generation in Korea. With this background, I take a taxonomy of three periods, which will be dealt with in more detail. Table 1 shows the characteristics and features of Southeast Asian studies in Korea. However, this is a rough generalization. The demarcation of the generations should not be viewed as a decisive divide. Therefore, this table should be used as a guide for an overview of the trends. The first-generational works have been introductory ones concentrating on economics and international relations, principally conducted by nonspecialists. These first-generational scholars raised the need for scholarly works on domestic politics, society, culture and history, as well as creation of a research institution for Southeast Asian studies in Korea. This was realized by second-generational scholars. The second-generational works were conducted by those who wrote their doctoral dissertations on case studies or comparative studies of Southeast Asian countries at educational institutions overseas. These scholars formed the Study Group on Southeast Asian Politics in 1990, which further evolved into the Dong Nam Ah Ji Yeok Yeon Gu Hoi (old version of KISEAS: Korean Institute of Southeast Asian Studies) in 1992. They also formed the Han Kuk Dong Nam Ah Hak Hoi (KASEAS: Korean Association of Southeast Asian Studies) in the same year. The establishment of these two organizations played a pivotal role in the development of Southeast Asian studies in Korea. Both organizations, nationally and interdisciplinarily networked, played the role of a research hub. However, they were organizations based on ‘soft solidarity’ which relied more on networks of individual scholars. A leap forward in terms of organization of research institutions came with the third generation. The third-generation scholars, together with the second-generation ones, have played a role in transforming the Korean Institute of Southeast Asian Studies into an organization based on ‘hard solidarity’. 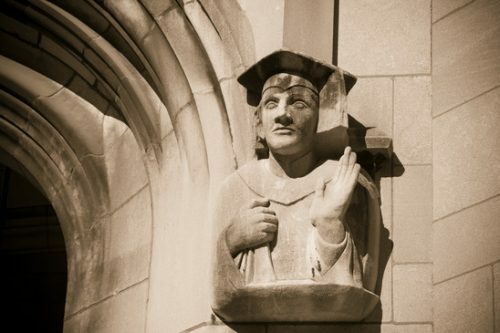 The mainstream third-generation scholars are the ‘fruits’ of effort by earlier generations. They have taken courses on Southeast Asian studies and written their theses in Korea with relatively lengthy fieldwork in Southeast Asia, often supervised or advised through interdisciplinary cooperation. As a result, they have become area specialists who could learn about Southeast Asian studies from their early stages of higher learning. They are not ‘accidental’ but ‘purposive’ scholars, becoming Southeast Asian specialists not from unintended exposure but from personal choices in favorable and supportive academic environments. The following part discusses the works and organizational achievements by the three generations. Contemporary relationships between Korea and Southeast Asia are characterized by reality of interests and lack of understanding. Pursuit of interests without understanding will become disadvantageous in the long term, and it may also endanger the nation itself. We have not thoroughly thought about what it means to be ‘Korea in Asia’ even though we have lived in Asia. If this situation continues, we may face the risk of being isolated in Asia (Hong-Koo Lee, 1981). Korea’s politics and foreign policies, whilst competing for its survival and development under the strong influence of the Cold War regime since independence, have fixed its orientation gradually to the perspectives of the developed superpower, communist bloc and European countries. Because of this, it is true that academic interests have neglected not only developing countries as a whole, sometimes called ‘The Third World’, but also Southeast Asia (Chung-Si Ahn , 1981: 1). These two quotes show clearly what the situational understanding of the pioneering generational scholars and their academic orientations were. These are taken from the book titled Southeast Asia and ASEAN published in 1981 by the Seoul National University Press, in which Professor Chung-Si AHN, a prominent scholar of Southeast Asian studies in Korea at that time, had played a major role in publication. His evaluation of 30 years ago still appears valid in today’s context. The understanding of these first-generational scholars about the state of affairs and their recognition of urgency continues to hold true for comprehending today’s events. Southeast Asian studies in Korea until the early 1960s seems rooted in a ‘barren land’, in contrast with the United States (McVey, 1998) and Japan (Suheiro, 1997), where academics and research institutions have expanded its study dramatically. It was not until the mid-1960s that an interest on Southeast Asia emerged in Korea. 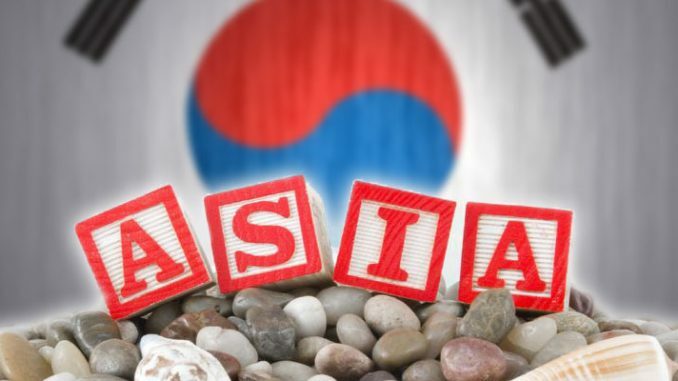 Korea established its foreign missions in key Southeast Asian countries. ASEAN and ASPAC (Asian and Pacific Council) were established. These raised interest in foreign affairs. Korean national forces’ involvement in the Vietnam War also raised public concern about Southeast Asia. Korea’s export-oriented industrialization policies in the 1970s also promoted economic interest in this region. All of these contributed to an increase and diversity of research and reports on Southeast Asia in that period. The majority of these works, however, has been on foreign affairs, military and economic policies. Serious academic work on domestic politics, society and culture had yet to be conducted (Chung-Si Ahn, 1981: 4-5). The first-generation scholars in political science include Chung-Si Ahn (Seoul National University), Kuk-Jin Kim (IFANS), Beom Jun Lee (Sungshin Women’s University), Han-Sik Kim (National Defense University), Woo Jin Lee (Chung-Ang University), Jae Kyu Park (Kyungnam University), Eun Ho Lee (Chongju University). Those in economics include Dong-Cheon Seo (Inha University), Jeongsik Sohn (Hanyang University) and others (Interview with Yoon Hwan Shin on February 2006). The first-generational scholars, who recognised a dearth of this type of study, started learning about domestic socio-political issues in Southeast Asia. The pioneering work was done by Professor Chung-Si Ahn and others in 1981. 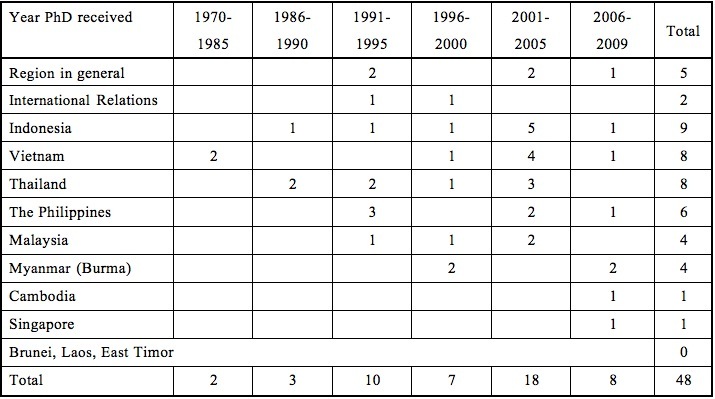 Since then, Kyung Nam University’s Institute for Far Eastern Studies (IFES) and Korea University’s Asiatic Research Institute, directed by Professor Sung-Joo HAN, produced a series of outcomes of their research projects in Korean and English (Kuk-Jin Kim, 1991: 97-100), which was uncommon in the earlier period. Research work of that time however was ‘introductory’, and was limited from mostly relying on ‘secondary literature sources’ (Cho, 2001). A major reason was that it was written primarily for the urgent needs then. Professor Anh said “it aimed to help general understanding on Southeast Asia and ASEAN by writing in a relatively short time and synthesising the available materials” (Chung-Si Ahn, 1981: 1). He therefore summarised the situation of the time as “we had just commenced” Southeast Asian Studies in Korea. The second factor was the scholars’ academic background. The first-generational scholars did not specialise in Southeast Asian studies. Professor Kuk-Jin Kim of the Institute of Foreign Affairs and National Security (IFANS) expressed that “the studies were spontaneous without continuity”. Therefore, “studies on dynamic changes in Southeast Asia” were rare (Kuk-Jin Kim, 1991: 102-103). Lastly, we can point to the fact that there had been a lack of an organisational foundation for Southeast Asian studies specialists in Korea. According to Professor Kim, “interest in Southeast Asia emerged and surged, but the lack of specialised research institutions on the region rendered its study in Korea in the 1980s weak from discontinuity” (Kuk-Jin Kim, 1991: 100). Professor Kim further remarked the fact that “an academic association of Southeast Asian studies had not been established yet showcased its minimal and marginal status in Korean academia” (Kuk-Jin Kim, 1991: 90). An Influx of new-generational scholars, establishment of research institutions, and consequently expansion of research in the 1990s meant a take-off for Southeast Asian studies in Korea. We have to take note of the emergence and inflow of Southeast Asian studies specialists. As Table 2 shows, a number of PhD holders who wrote their dissertations on Southeast Asia surfaced. Most Southeast Asian specialists in Korea received their degrees from 1988 onwards, though there were some exceptional pioneers. In addition, the research environment became favorable for Southeast Asian specialists in the early 1990s. There was a small boom period for Southeast Asian studies in Korea when the popularity of Communist Country studies had withered. A few factors are accountable for this. Relaxation of overseas travel regulations for the Korean public led to an increase in travelers to Southeast Asia, a popular tourist destination. Foreign direct investment from Korean companies has centred on Southeast Asian countries since the late 1980s. NGO activists started to survey on the labor rights situation in Korean companies invested in Southeast Asia in the mid 1990s. At the academic level, debates as well as success stories of Newly Industrialising Countries (NICs) and the ‘East Asian Miracle’ drew attention to the process of economic development of Southeast Asia, particularly Singapore, Malaysia, Thailand and Indonesia. Third World researchers and progressive students paid attention to the Vietnamese revolution, Burmese-style socialism and democratisation in the Philippines. These factors, together with support for international area studies of KIM Young Sam’s Government under the slogan of ‘Internationalization’(Se Gye Hwa) since 1993, contributed to the small boom of Southeast Asian studies in Korea. Source: revised and updated from Shin and Hwang (2004).